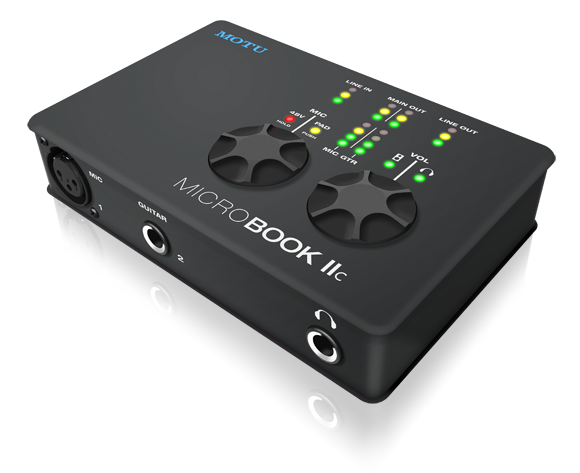 As the "c" appended to its name implies, the updated MicroBook IIc is now USB audio class compliant, which means that you can connect it to an Apple iPad with a standard Lightning to USB Camera Adapter (purchased separately) for studio-grade audio I/O for your iPad music and audio apps. If you are serious about the music you make with your iPad and laptop, the MicroBook IIc offers the perfect combination of excellent analog audio quality, studio-grade connectivity and rugged, ultra-portable design and construction. AudioDesk DAW software for Mac and Windows.